The International Monetary Fund says Greece needs debt relief and 50 billion euro (£36bn) in new financing from October through to 2018. The IMF said that Greece's finances have deteriorated because Athens has been slow about enacting economic reforms. Last year, the IMF predicted Greece's debt would fall from 175% of economic output in 2013 to 128% in 2020. Now it sees Greece's debts at 150% in 2020. The analysis was made before Greece defaulted on IMF loans on Tuesday and closed its banks on Monday. The outlook is worse now. 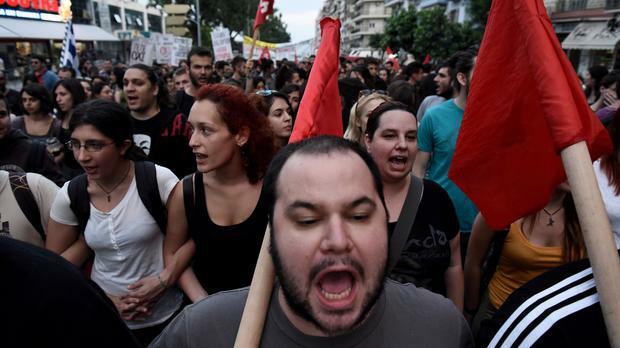 Greeks vote Sunday on whether to accept demands that creditors were proposing to resolve a debt stand-off.